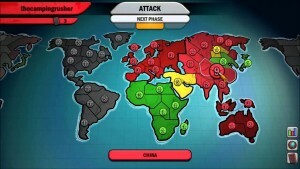 Risk Factions – Now we are all familiar with playing Risk online using a computer, but if you ever do see a video game console version of a board game, it’s usually in a way that doesn’t account for bridging the gap between the mechanical differences between the two media, and how it accounts for multiplayer gameplay. 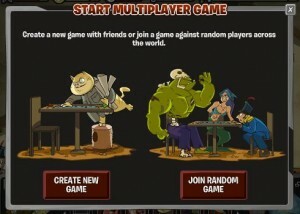 Translating a video game into a tabletop game is something that tends to happen from time to time, with various tabletop versions of popular video games coming out seemingly in droves, but this is the other way around. From role-playing games to strategy games and so on, there seems to be a collection of crossovers that flood the tabletop games market quite a bit. However, when it comes to the other way around, there doesn’t seem to be enough out there to really be substantial. 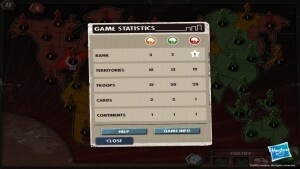 But with Risk: Factions, much of that has been ironed out and more, making Risk reach an even bigger audience. Risk Factions is a translation of the classic Risk board game into video game console format, namely the Xbox Live Arcade service which was discontinued in 2014, and the PlayStation 3’s Network. It was also a reinterpretation to make it friendlier to a wider demographic. Unlike the classic Risk video game, the presentation isn’t as dry and there’s actually much to dig into other than the usual elements in classic Risk. 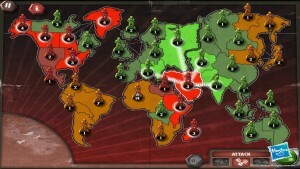 There have been a few other Risk video games out there, but this one some attention for being different from the rest. 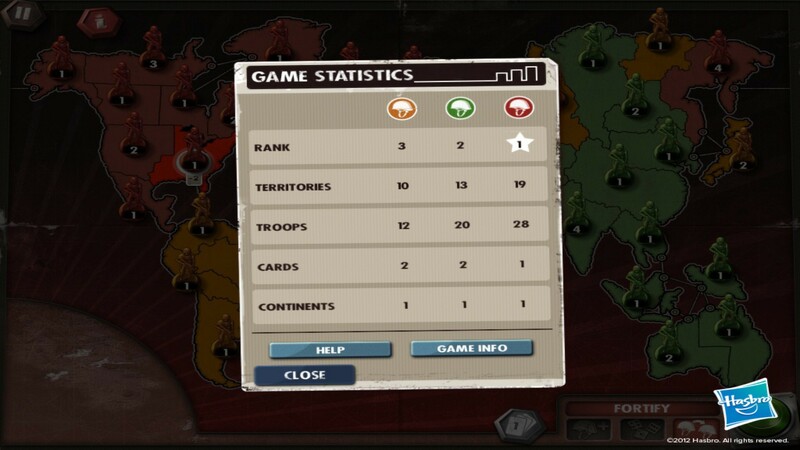 Being able to play Risk online with other players is what gives Risk Factions a big advantage over the classic Risk video game. You get to hone your strategic sense against other human players who are playing from other parts of the world with little to no worry about lag. 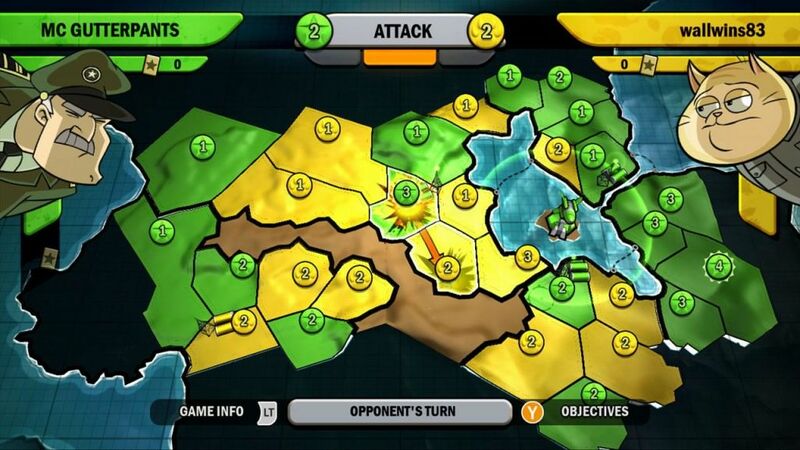 You need not wait for friends to come over in order to play a game of Risk anymore, although this does have its vast differences from the classic Risk board game and it is not as versatile as playing Risk online at a proper gaming website like MajorCommand.com. 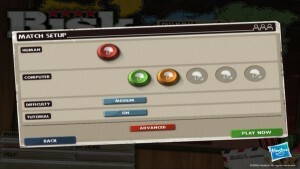 There are different single players modes like skirmish battles against computer opponents and a campaign for players to progress through, although the latter isn’t long enough to be really substantial. 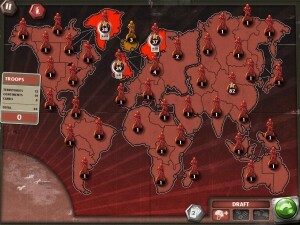 On the other hand, it may be enough for players to get into the stuff that makes this particular Risk game unique from the others, from its unique setting and cartoon art style to the different factions that comprise its backstory and gameplay. 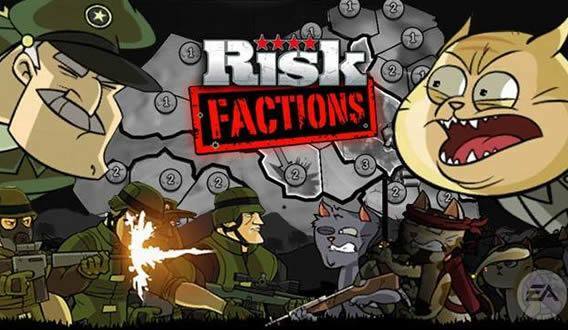 Instead of the same units for all players like with most other Risk games, Risk Factions stays true to its name and gives players different factions that both look and play differently, giving this game a surprising bit of depth. You also get other nice things in the overall presentation that a video game can have over a board game like nice background music and voices for the different characters in the game, which adds to the experience here. Each game has three main objectives that must be achieved in order to get a lot closer to victory because only having to take control of everything can be rather bland and every other Risk game already has that. 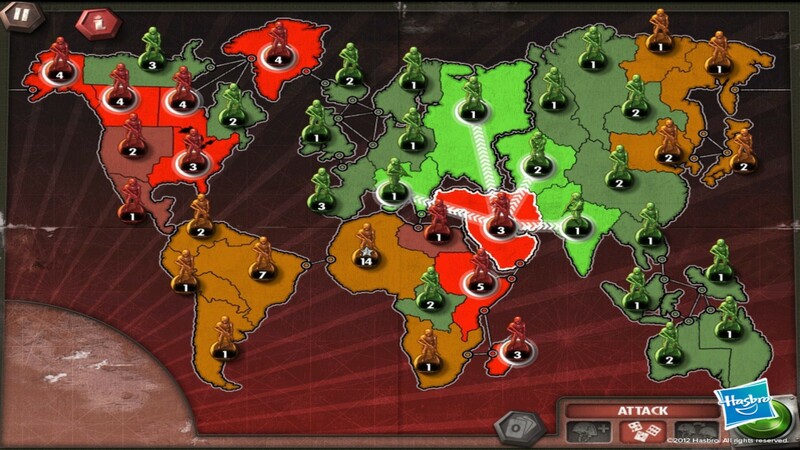 There are various other Risk games out there with their own objective-based gameplay as well, so this is nothing new. 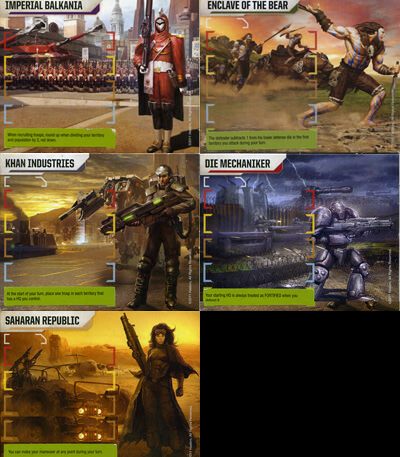 There are four factions to choose from—Humans, Cats, Robots, Zombies, and Yeti. 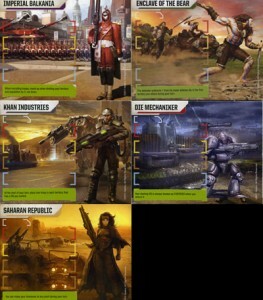 There’s a leader for each whose personality and unique abilities dictate the theme and capabilities of their respective factions. The Humans have General William P. “Fatty” McGutterpants, a military type that likes to shout orders and stick his chin up at every chance he gets. The Cats have Generalissimo Meow, a communist leader with a penchant for revolutions and a hatred for General Fatty’s dog. The Robots have Commandant SixFour, an artificial intelligence that’s like a science fiction nightmare due to its inability to tell ally from enemy. The Zombies have Colonel Clause “Stiffy” Von Stauffenberg, who is a result of Commandant SixFour’s weapon experiments gone wrong and looks like someone General Fatty would love to bomb out of the water. The Yeti have the noble savage that is His Excellency Gary, who is like a monster version of the Dalai Lama that seeks to be neutral by fighting everyone else until they all give up and make peace, which may not be the best plan out there. 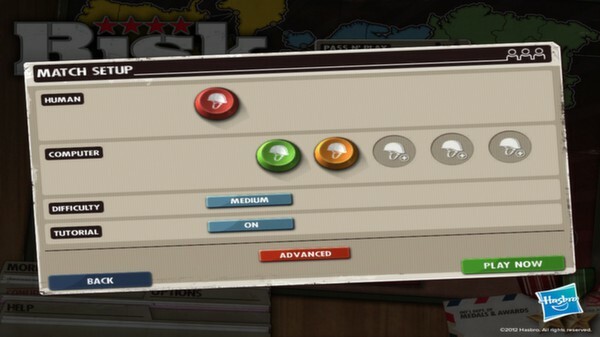 All these factions have their distinct strengths and weaknesses, and figuring out what strategies and play styles work for them makes up most of the fun in Risk Factions. If you have friends to play it with you, the better it becomes as you try to outdo each other with your chosen factions. This isn’t one of those decisions that become a source of regret for both the designer and the players as Risk Factions is indeed a good addition to the Risk library. It plays well enough and helps introduce a whole new audience to the tabletop gaming wonder that is Risk. It doesn’t have the variety of playing an online Risk game, but overall, this is a decent addition to any gaming console collection.